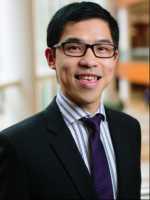 Dr. Cheungpasitporn: High-fructose corn syrup consumption in the form of sugar-sweetened soda has dramatically increased worldwide and associated with risk factors for chronic kidney disease (CKD) including diabetes mellitus (DM) and metabolic syndrome. Recently, artificial sweeteners have become commonly used in soda marketed as ‘diet’ alternatives. Recent studies have demonstrated that diet soda consumption may also be associated with weight gain, metabolic syndrome and cardiovascular disease. The risks of CKD in individuals with sugar-sweetened or diet soda consumption, however, were conflicting. We therefore conducted a meta-analysis to assess the associations between CKD and the consumption of sugar sweetened and diet soda. The findings of our study were recently published in Nephrology (Carlton). 2014; 19(12):791-7. Dr. Cheungpasitporn: Five studies (2 prospective cohort studies, 2 cross-sectional studies and a case-control study) were included in our analysis of the association between consumption of sugar-sweetened soda (≥1-2 drinks of sugary soda/day) and CKD. We found an overall 1.58-fold increase CKD risk in individuals who regularly consumed sugar-sweetened soda with the pooled risk ratio (RR) of 1.58 (95% CI 1.00–2.49). Four studies (2 prospective cohort studies, a cross-sectional studies and a case-control study) were included to assess the association between CKD and diet soda consumption (≥1-2 drinks of diet soda/day). Despite a trend of chronic kidney disease risk in individuals with diet soda consumption with the pooled RR of 1.33 (95% CI 0.82–2.15), this association was not statistically significant. Dr. Cheungpasitporn: Our study demonstrates statistically significant association between CKD and sugar-sweetened soda consumption, but not in individuals consuming diet soda. The findings of our study suggest that consumption of sugar-sweetened soda is associated with CKD and may impact clinical management and primary prevention of CKD in high-risk patients. Dr. Cheungpasitporn: Most included studies did not provide the data on types of soda, types of artificial sweetener and color of soda. Thus, we cannot investigate if there is specific association between CKD and any specific type of soda or artificial sweetener. Caramel coloring and phosphate content of soda may play an important role of CKD risk. Future studies are needed to determine the specific cause of this potential risk. This entry was posted in Author Interviews, Kidney Disease, Mayo Clinic, Sugar and tagged kidney disease, sugar-sweetened beverages by Marie Benz MD FAAD. Bookmark the permalink.